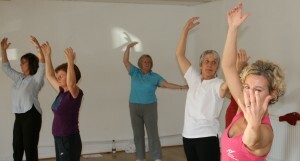 Taiji [Qigong Shibashi] may help prevent falls in the over 60’s. I am taking a little liberty here as my focus on Taiji Qigong but as the shibashi sets are essentially ‘health Taiji’, however recent research into exercise has found that the over 60’s can cut the risk of falls by a fifth by practicing Tai Chi and other exercise programmes, research suggests. The research, which examined 108 trials, with 23,407 participants, found that classes which aim to improve balance and functional exercise cut the risk of falls by 23 per cent. The average age of those in the study was 76 years old, with three quarters of participants female. The trials involved pensioners living independently at home as well as those in retirement villages, or in sheltered accommodation. The review found that exercise programmes carried out in group classes or done at home prescribed by a physiotherapist were effective. Exercises were mostly done while standing as this better enhances balance and the ability to do daily activities such as standing up from a low chair or climbing stairs. On average, those taking part in all exercise programmes had 23 per cent fewer falls than those who did not, while Tai Chi was found to reduce the rate of falls by 19 per cent. Experts said it was less clear whether exercises like dancing and walking, which do not focus on balance, could cut the risk of falls. We will be running a beginners course over four Monday mornings in March at On Route in South Ealing . The four sessions will focus on the first shibashi set. By the end you should be confident enough to practice by yourself. Taiji Qigong Shibashi is a beautiful, gentle, and flowing exercise system that is suitable for all. It is a delight to practice, relaxing and extremely beneficial to your health and wellbeing. Shibashi Qigong is a moving meditation that has been shown to have many health benefits. The exercises are a great daily practice for wellbeing and preventative healthcare, strengthening the muscles and bones, promoting good circulation and health in all the major organs. Shibashi Qigong encourages a state of mindful awareness of our body and breath and during classes we will be working on breathing, posture, relaxation, and coordination. 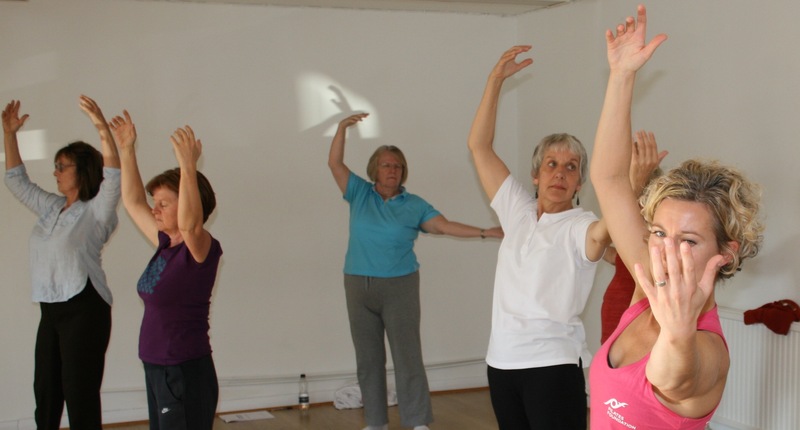 Besides the obvious benefits like balancing Yin and Yang, increasing overall levels of Qi, clearing blockages in the Meridians and so on, practicing Taiji Shibashi Qigong also has the benefits of aerobic exercise. We teach 3 separate but complementary sets each of which builds upon the previous one taking you to a different level of practice and understanding of how Ki moves in the body. Venue: On Route, 44-46 South Ealing Rd, Ealing, W5 4QA.